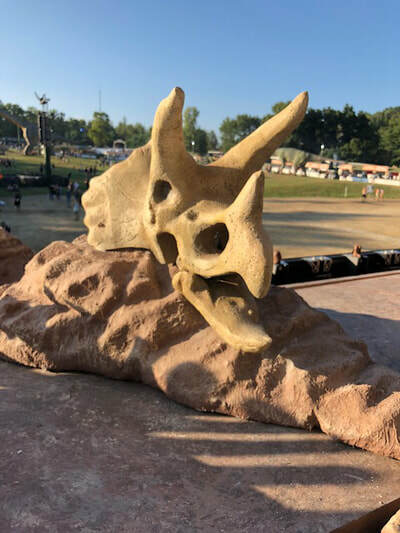 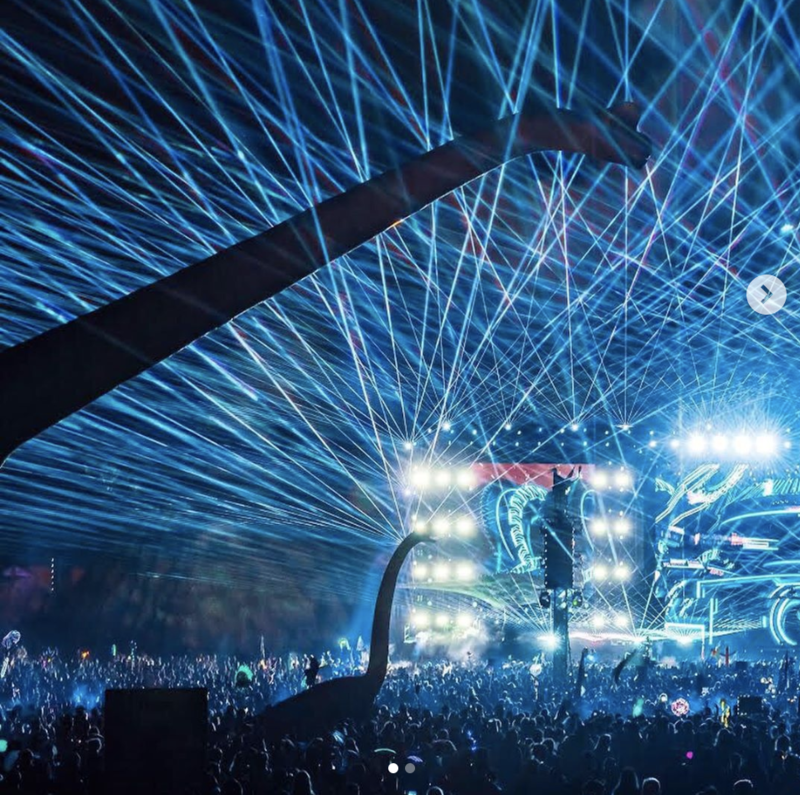 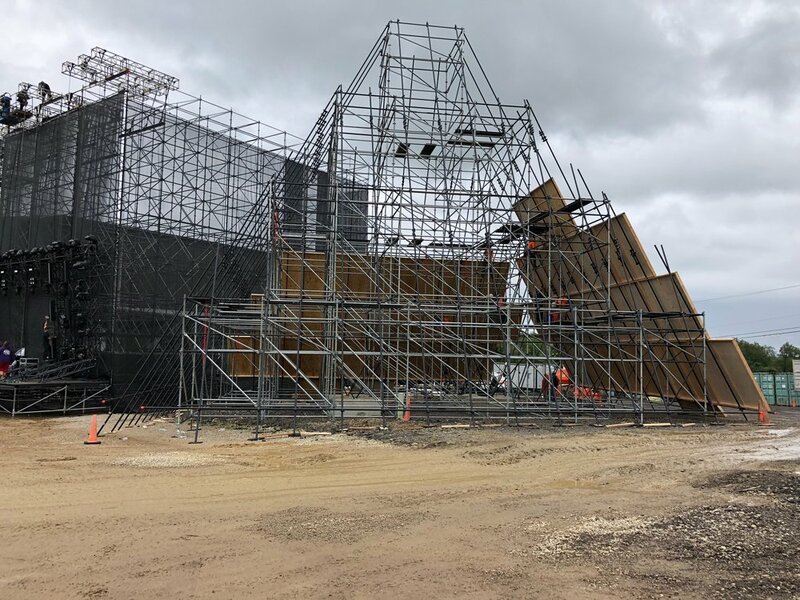 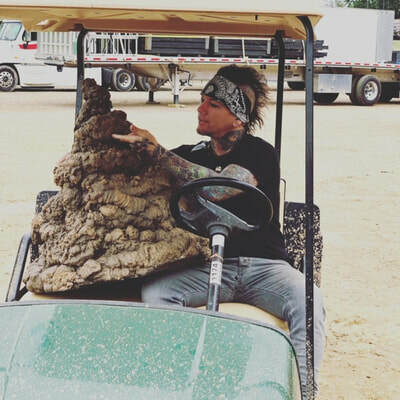 ASHBA created four enormous volcanoes for Excision's Lost Lands Music Festival. 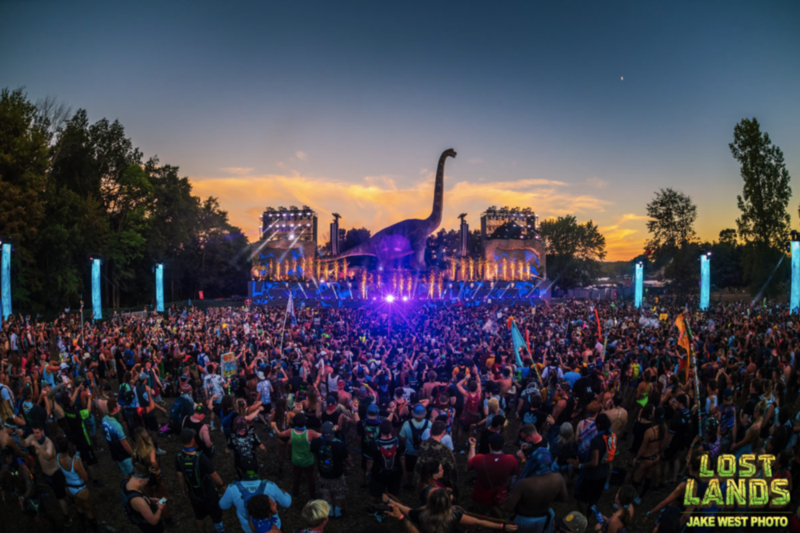 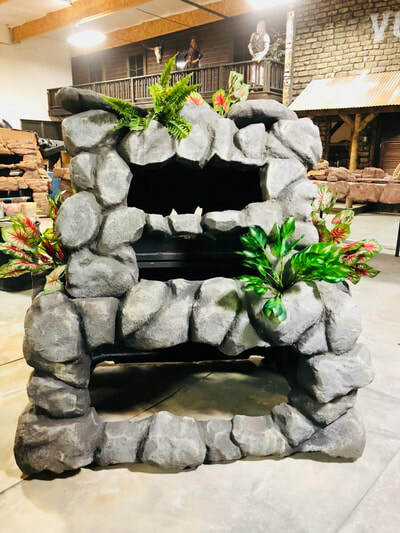 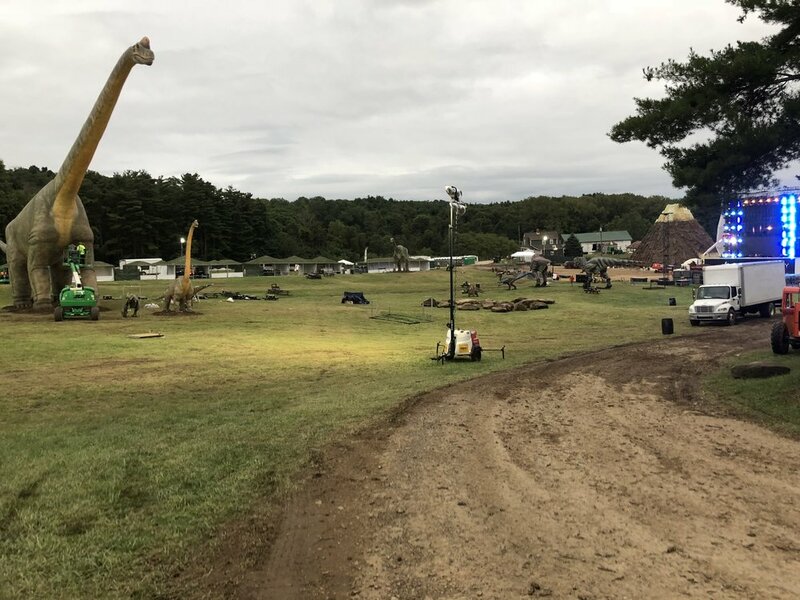 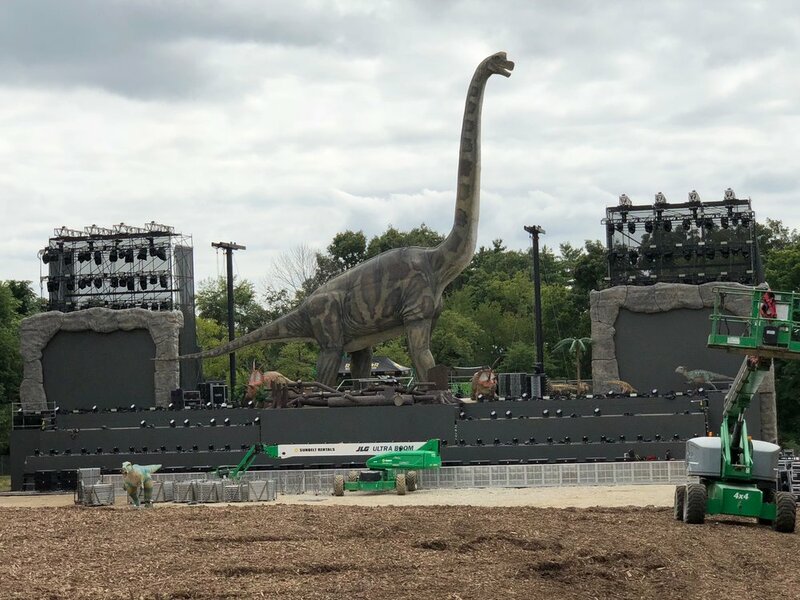 These towering structures each stood 65ft tall and erupted with plumes of smoke and fire that shot up an additional 30 ft. We also created two custom prehistoric themed, multi station DJ booths. 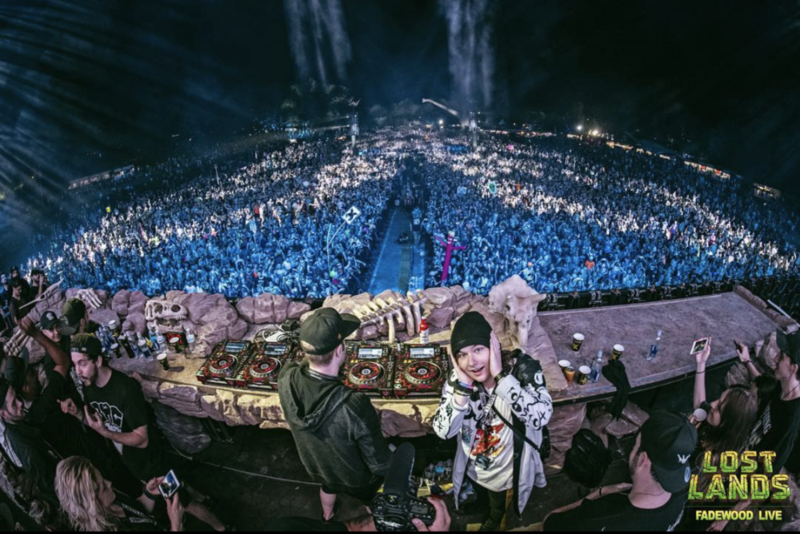 Each had corresponding speaker covers to complete the theme and created the perfect photo op for each performing DJ. 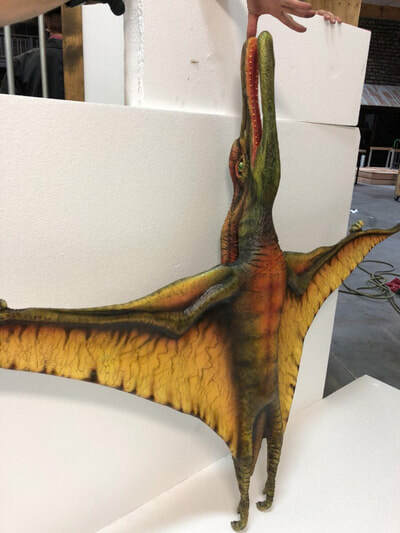 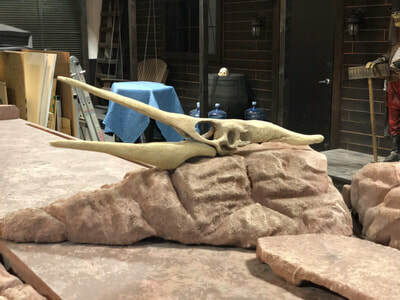 ASHBA custom sculpted life-like flying pterodactyl dinosaurs along with over-sized dinosaur props.